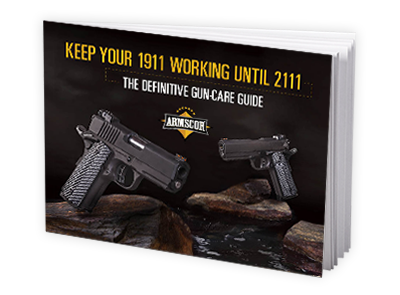 Your Rock Island Armory (RIA) 1911 is a machine, and, like any machine, receiving consistent and proper care will extend its life and reliability. An RIA 1911 can be functional and reliable for a century or more. Many people have friends or mentors to guide them in the care and maintenance of their new firearms. This free guide was created for those that enjoy self-help or do not have mentors to guide them. Complete the form to the right, and download the free Definitive Gun-Care Guide.